RDG 16 is a web-based system designed to help administrators, executives, law firms, and shareholders file Section 16 forms efficiently and accurately. With the highest level of data-security available, RDG 16 is a secure, online solution that allows for the simple creation, proofing, submission, and management of Section 16 documents. There is no software to buy and no installation required. RDG 16 makes it simple to amend previous filings and gain quick access to historical Section 16 records. Additionally, RDG can import your historical Section 16 forms into the system so that you will have access to all your previous filings from the moment you start using the portal. Test or live file directly to SEC. RDG offers both the Self-Service portal and 24/7 Full-Service filing support. Both flat-rate and as-needed pricing is available. Please contact us for more information. Where can I see a demo of RDG16? Please contact any of our representatives for a full demonstration to see how easy RDG16 makes it to create and file required forms. 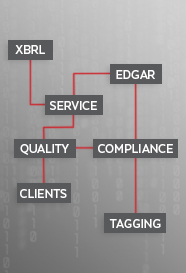 First, check the SEC Database to see if the Reporting Owner already has EDGAR codes by clicking here: http://www.edgarcompany.sec.gov/servlet/CompanyDBSearch?page=main. If no codes exist, you can contact us for assistance. What are the advantages of RDG’s simplified pricing structure? Our philosophy is simple; you should be able to file accurately, quickly and cost-effectively regardless of whether you file a few Section 16 forms per year or a few hundred. With so many factors that affect the exercising of options and the buying and selling of shares by insiders, there is no consistent measurement tool for the exact amount of Section 16 Filings each company will file in a given year. What we have found is nearly 10,000 of these forms are filed each month, and some companies waste thousands of dollars paying per filing. So RDG 16 offers reasonable flat-rate pricing so that we can remove the inconsistency in your Section 16 expenses.